Welcome to the Beach Hut Charm website, if you continue to use or browse this website you are agreeing to comply with the terms and conditions of use. The term ‘Beach Hut Charm’ or ‘us’ or ‘we’ refers to the owner of the website whose registered office is 9 Millfield Road, North Walsham, Norfolk, NR28 0EB. The term ‘you’ or ‘customer’ refers to the user or viewer of our website. The information and content of the Beach Hut Charm website is available for the general use of customers only. Any unauthorised use of this website may be a criminal offence, thus could result in a claim for damages. You use this website information and materials entirely at your own risk, for which we shall not be liable. It is the customers own responsibility to ensure that products, information or services meet your individual and specific requirements. Links may be used on the Beach Hut Charm website, Beach Hut Charm does not endorse or take responsibility for content or information provided using these links. They are solely used for additional information for customers. Links to the Beach Hut Charm website may be obtained only with written consent from Beach Hut Charm. Beach Hut Charm will take reasonable care to ensure that all information, descriptions and prices on the website are correct. We ask that customers acknowledge that such information may contain inaccuracies/errors. We take no liability for such inaccuracies/errors to the fullest extent permitted by law. Delivery costs are included in the price of products. Orders over £40 will be sent Royal Mail special delivery. Orders under £40 will be sent Royal mail 1st class. Beach Hut Charm reserves the right to change product prices and delivery charges at any time. If a Beach Hut Charm Customer is quoted for a price for products and postage, this will stand for a period of 28 days from the day of the quote. Beach Hut Charm are able to take orders on the Beach Hut Charm website, alternatively telephone orders can be placed. At Beach Hut Charm we aim to despatch fingerprinting, hand/foot printing and paw printing kits to the customer within 48 hours of an order being placed. Fingerprint, Artwork, hand/foot and paw print Jewellery takes 21 days to complete on receipt of payment and printing kits being returned. These times may increase at more busy periods, if this happens the customer will be notified at the earliest opportunity. If a customer requires an order before the 21 days they may wish to contact Beach Hut Charm to see if an earlier dispatch time is possible. All products from Beach Hut Charm are subject to availability and acceptance. If a product is not available the customer will be contacted by Beach Hut Charm. The customer will have the option of waiting for the goods to become available, alternatively in the event that a customer wishes to cancel the order as a result of a product being out of stock the customer will receive a full refund. Beach Hut Charm customers can expect delivery from Royal Mail. Please ensure a full and accurate delivery address and postal code is provided for us to get your products to you in time. Inaccurate or missing information may result in a delay when posting. Providing a telephone number will help to ensure that any delivery problems can be kept to a minimum. It is advisable that Beach Hut Charm customer’s double check the information provided is correct. When signing for any goods from Beach Hut Charm you are accepting that you have received the goods intact and undamaged. However, if you notify Beach Hut Charm of any damage by the next working day product replacement may be possible depending if replacement is covered by Royal Mail. We recommend that as soon as you have accepted delivery that your parcel is opened and checked immediately. Personalised jewellery cannot be refunded once made and/or delivered, unless there is a fault with the jewellery or damage has occurred in delivery. 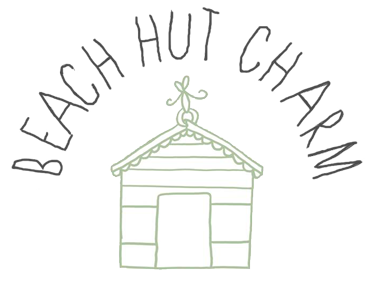 At Beach Hut Charm we take special care to ensure every piece of Jewellery is made to a high standard and will be inspected carefully by ourselves before dispatch (matching the product descriptions given on the website). For more information on your consumer rights please refer to the legal “Consumer Protection (Distance Selling) Regulations 2000”. We ask customers to check all details submitted carefully when placing an order. Beach Hut Charm cannot be held responsible for incorrect information given by the customer for personalising items. We ask that customers understand that personalised items cannot be refunded because a customer simply does not like a product. Products that have been purchased through the Beach Hut Charm website or any dispute relating to or arising from shall be subject to non-exclusive jurisdiction of the courts of England, Northern Ireland, Scotland and Wales. All fingerprints, hand, foot, paw prints and artwork are destroyed within one month of the customer receiving their order. If a customer wishes their fingerprints, foot, hand, paw prints or artwork to be sent back with the finished piece of jewellery this needs to be stated when ordering or sending the printing kit’s back, alternatively a customer may wish to telephone or email this request. If a customer wishes Beach Hut Charm to keep the any prints (for future orders) this can be done by contacting Beach Hut Charm by email, telephone or post – these fingerprints will be stored securely for 1 year then destroyed unless the customer states otherwise. Customer information will not be passed onto a third party. On some occasions Beach Hut Charm may wish to take photos of products it has made for its customers. Beach Hut Charm reserves the right to use these photos on the website or for advertising, however, out of common courtesy customers will be notified of this. Beach Hut Charm cannot be held responsible for any damage products receive as a result of customers wearing or using items. Care of silver information is included with your silver purchases and it is strongly recommend that this information is read and kept in a safe place for future reference. We highly recommend when buying a gift, that recipient receives this “care of silver” information provided. This website and its content is owned by Beach Hut Charm (or licenced to us). Reproduction is prohibited other than in accordance with copyright notice, thus forming part of these terms and conditions. This includes any transmission or storage on any other website or other forms of electronic retrieval systems. The customer is able to print or download information or images for their own personal use, this must not be used for commercial purposes. If you wish to pass this information on to a third party for personal and non-commercial use the original source must be acknowledged. If you have any queries or questions regarding the Beach Hut Charm terms and conditions please do not hesitate in contacting us – we are more than happy to help.